Hamstring tendons are widely used in anterior cruciate ligament reconstruction. Improvements in fixation materials have increased the success of the reconstruction procedures using this type of graft. The main advantage of the hamstring tendon autograft is the lower donor site morbidity associated with its harvesting. On the other hand, tunnel widening is reported more frequently with the use of hamstring tendon autograft compared to patellar or quadriceps tendons. The objective of the present study was to evaluate three different fixation techniques at a minimum of 2 years after Anterior Cruciate Ligament (ACL) reconstruction using gracilis and semitendinosus autograft. Between February 2012 and March 2016, 112 ACL reconstructions using double looped semitendinosus and gracilis graft were performed. Patients were divided into 3 groups in a randomized fashion. 98 patients were followed up for 2 years. In the first group (43 patients), suspensory fixation using Retrobutton (Arthrex, Inc, Naples, Florida) was used. In the second group (30 patients), transcondylar graft fixation Bio-Transfix (Arthrex, Naples, Florida) was performed, and in the third group (25 patients), aperture fixation using AperFix (Cayenne Medical, Scottdale, Arizona, Biomet) was performed. Clinical evaluation was performed using the International Knee Documentation Committee (IKDC) form, Lysholm knee and Tegner activity level scores, as well as arthometer measurements. Tunnel enlargement and graft integrity were evaluated using Magnetic Resonance Imaging (MRI) at 6, 12 and 24 months. Ten patients were completely lost to follow up, and four had undergone a revision ACL reconstruction before the two-year follow up period, leaving 98 patients for analysis. No statistically significant differences between the three groups were noted other than that the first group tended to have more tunnel enlargement than the other two groups, especially at the femoral tunnel (p=.026), but not at the tibial tunnel (p>0.408). Our results showed that almost 90% of the patients in the three groups had functionally normal or near normal IKDC, Lysholm and Tegner scores. The three different techniques yielded equal results as regards improved patient performance. The functional results as well as knee stability tests were not related with tunnel enlargement, at least in the short term. 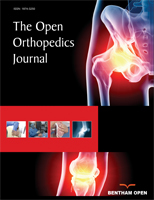 Keywords: Anterior cruciate ligament reconstruction, Gracilis and semitendinosus autograft, MRI findings, Tunnel enlargement, Graft fixation, Hamstring autografts. © 2019 Apostolopoulos et al.